George Town World Heritage Incorporated is a state heritage agency established by the Penang State Government on 21 April 2010 to spearhead efforts in safeguarding the Outstanding Universal Values (OUV) of the George Town UNESCO World Heritage Site. 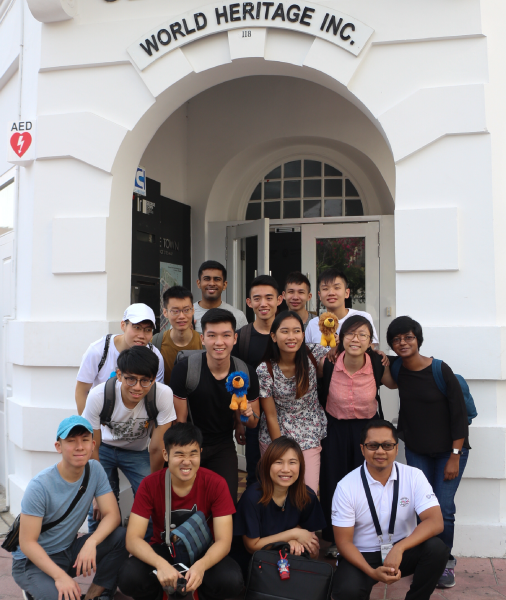 The team of George Town World Heritage Incorporated is dedicated to managing, safeguarding and promoting George Town as a sustainable heritage city. We are a diverse, multiracial group of professionals with different areas of expertise, with the aim of conserving and safeguarding our tangible and intangible heritage. We encounter daily challenges in conserving over 5,000 heritage buildings within the site, the adaptive reuse of spaces and the safeguarding of living heritage, including those outside the World Heritage Site. We work on cultural heritage promotion in schools, youth participation in programmes, disaster risk management, regeneration of residency within George Town, paper and object conservation, and first aid for cultural heritage in emergencies. 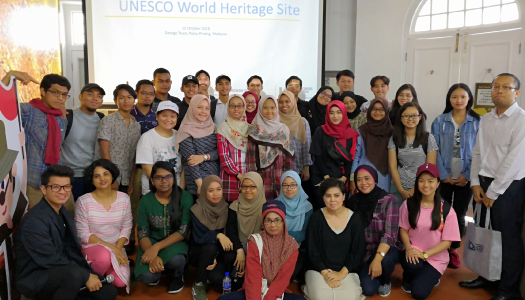 To promote cultural heritage education and boost capacity building, we collaborate with a wide range of partners to conduct workshops, conferences, exhibitions and heritage celebrations, and at the same time encourage public participation in World Heritage Site conservation efforts. These tasks are conducted through some 50 programmes and projects annually with sponsorship from the Penang State Government, in collaboration with UNESCO and its Category 2 Centres. We also provide complimentary consultations to owners of heritage buildings, architects and builders on the appropriate restoration methods, conduct skills development workshops, and provide resources on George Town and its heritage. Apart from our outreach efforts, the team also facilitates and conducts inventory, documentation and research projects. 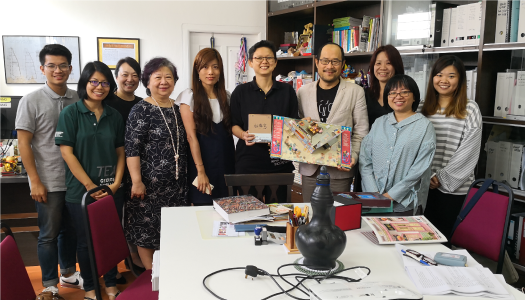 Visitors from local and international educational institutions, and city authorities from other states and heritage cities are welcome to visit our office to learn more about our management of the George Town UNESCO World Heritage Site. 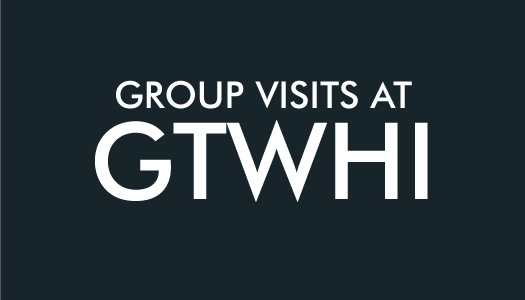 The logo of George Town World Heritage Incorporated features the five-foot way, a key feature of the shophouse which makes up most of historic George Town’s built environment. The shophouse is also an Outstanding Universal Value of the George Town UNESCO World Heritage Site. Our logo was officiated by the then Chief Minister of Penang, YAB Tuan Lim Guan Eng on 7 July 2010 during the second anniversary celebration of George Town’s inscription as a UNESCO World Heritage Site. 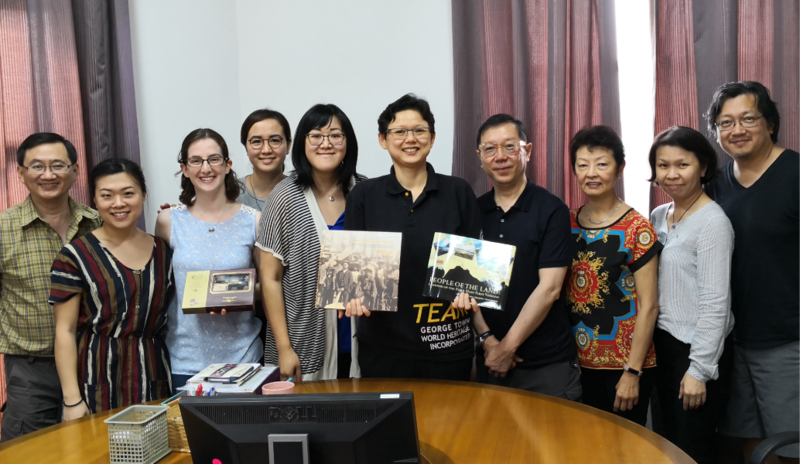 On 25 June 2014, George Town World Heritage Incorporated established its Interpretative Centre that hosts a resource centre that is open to the public and a paper conservation studio that conducts conservation and restoration of old documents. The resource centre exhibits a large 3D model of the George Town UNESCO World Heritage Site with a ratio of 1:400, giving visitors the opportunity to appreciate the complexity and scale of all buildings in the site. A good collection of books, journals and magazine is also available at the resource centre, as well as multimedia resources such as recordings and videos that can be accessed by students, researchers and the public. George Town World Heritage Incorporated has been certified as a Penang Green Office by the Penang Green Council in September 2018. We make an effort to implement ways such as reducing waste and recycling for our office to reduce its carbon footprint. The certification is valid for two years.